Ok, so I have a confession to make. I… Love… Jewelry! Once in awhile I find something that I think is really special, so I thought I’d share this post for all my lady readers (sorry guys). Attention Men: Keep reading if you would like to buy your lady a special Christmas gift, Birthday gift, Mother’s Day gift, Just because I love ya gift, (those are the best) etc. Every year, my brother and I usually try to meet up and have some type of joint family beach vacation. Summer before last, we discovered a place called Watercolor, FL on the Gulf Coast. It is gorgeous and dreamy and has beautiful white sand beaches. We rented a beach house together and had so much fun. 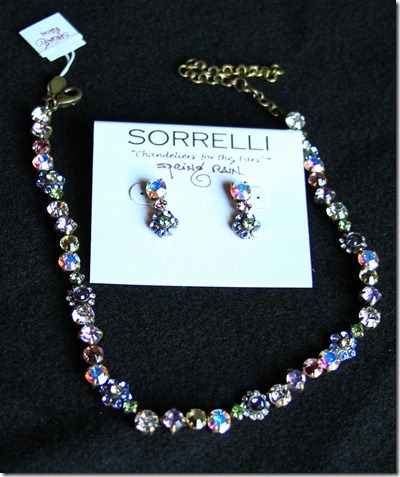 This past summer, we went back again and we happened upon a boutique that sold Sorrelli Jewelry. 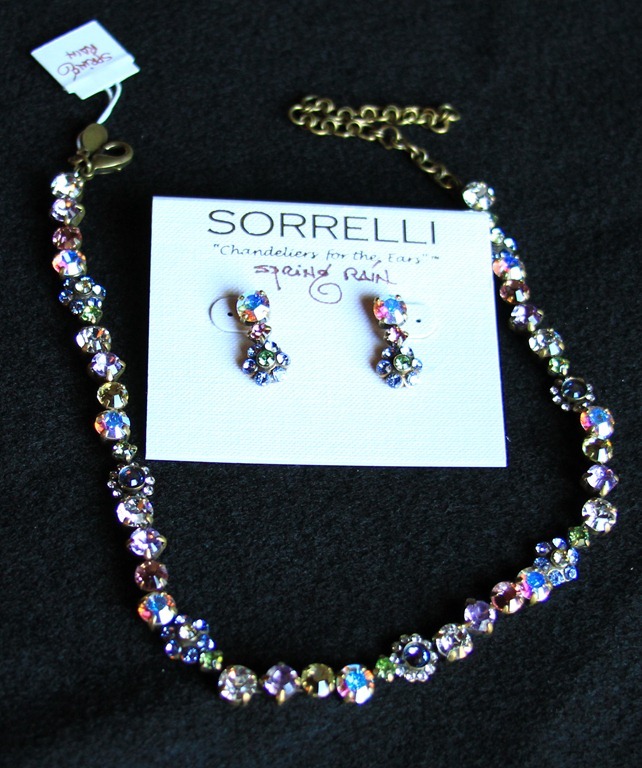 Sorrelli Jewelry is owned by three sisters and they create their pieces out of Semi-Precious Stones and Austrian Crystals. 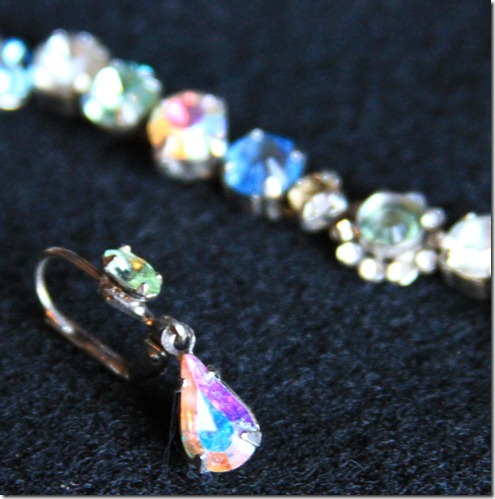 These are heirlooms meant to be handed down from generation to generation. 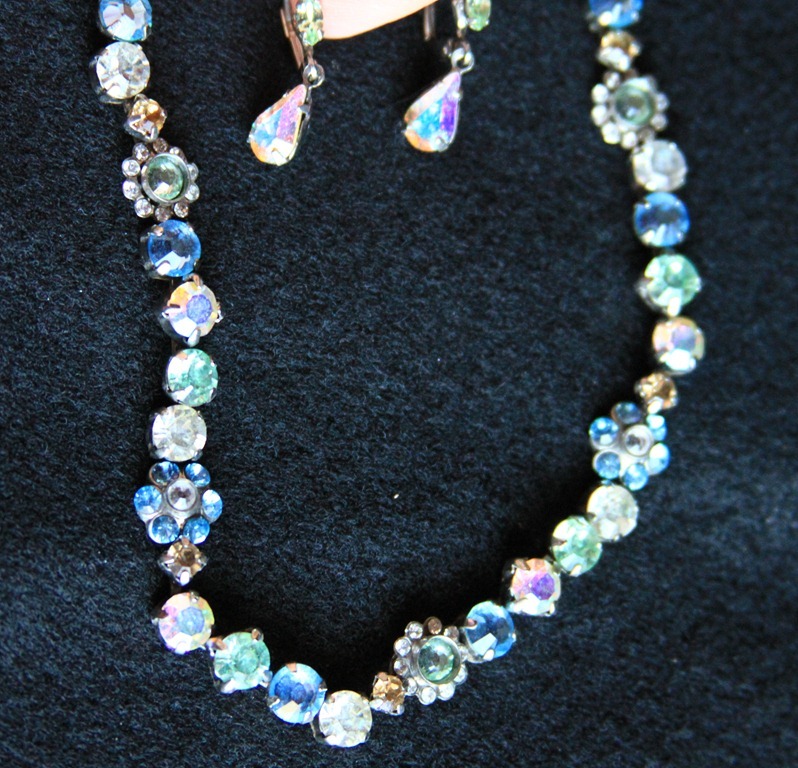 They are truly one of a kind pieces. The necklace show above is called “Happy Birthday”. It has bold, bright colors and is sparkly and beautiful! Here’s a closer look. We bought this one as a gift for my mom for her birthday in September and it looked absolutely beautiful on her. Egg Shell has a lot of cool tones of blues and light greens. 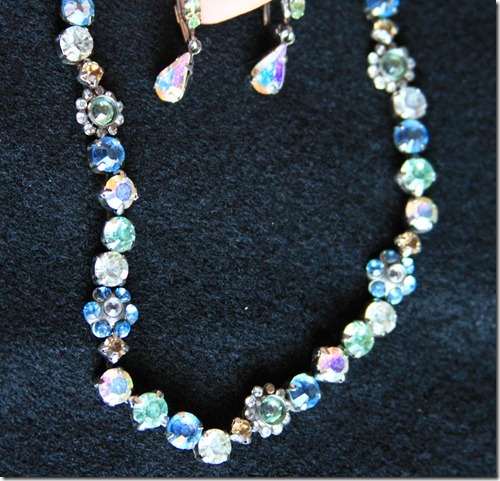 Here are the earrings I bought as well to go with the necklace so I could have the set. Here’s a closer look at Egg Shell. Just stunning! 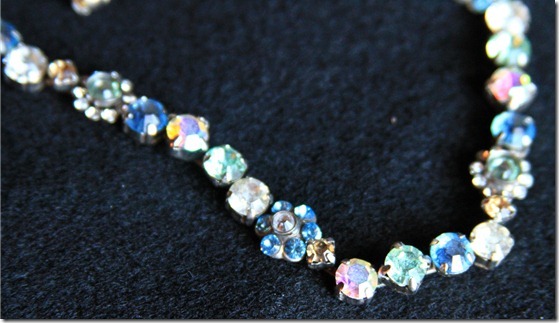 Spring Rain has lots of purple and pink and opalescent hues, in fact, I’m wearing this one today with a purple cardigan. 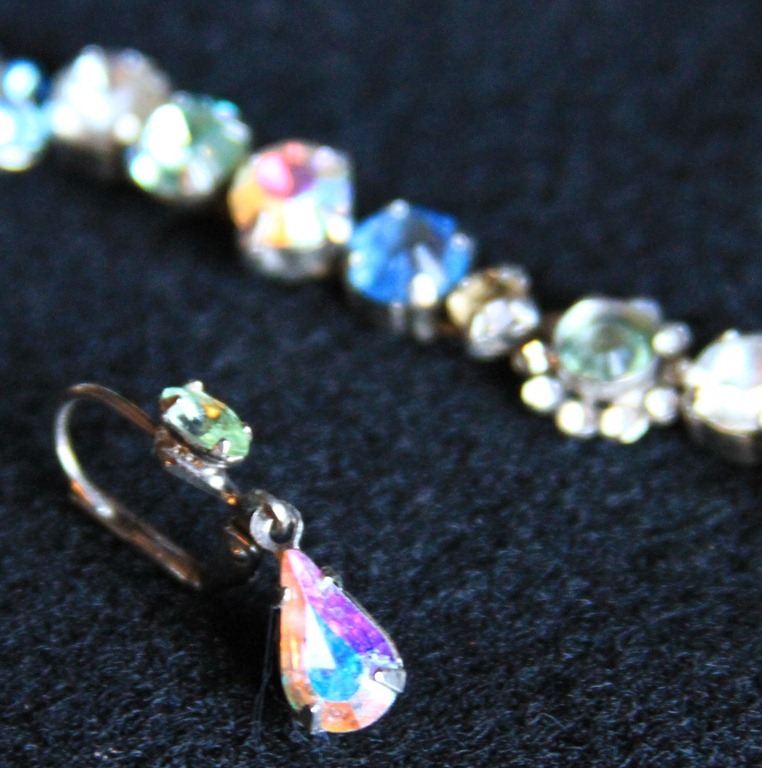 Here’s a closer look at those earrings. 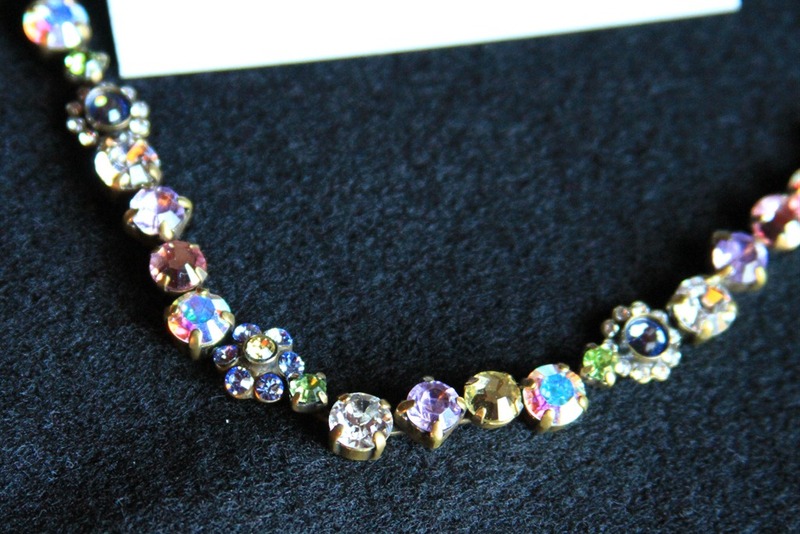 Simply sparkly and stunning! 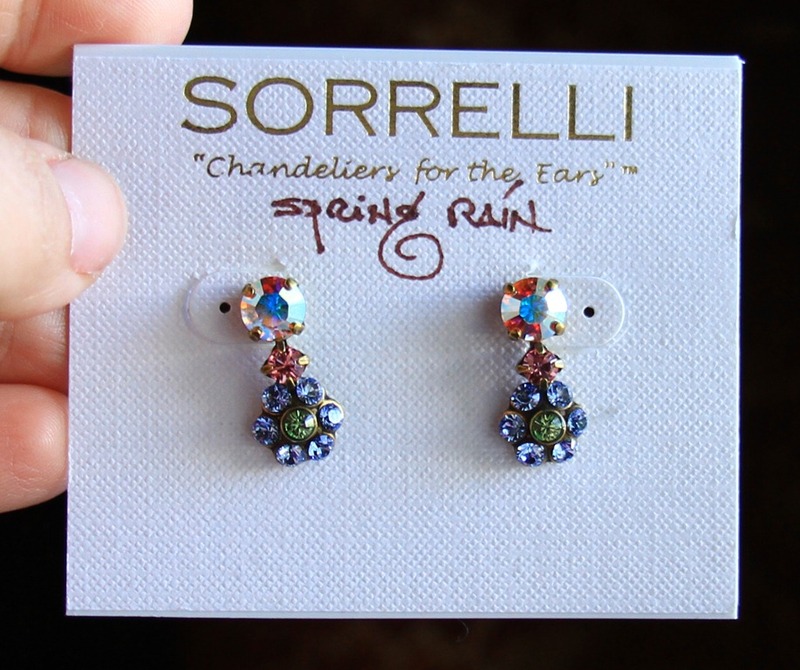 You can find many retailers of Sorrelli Jewelry. You will mostly find them in boutiques, or you can visit their website and find a retailer in your area. 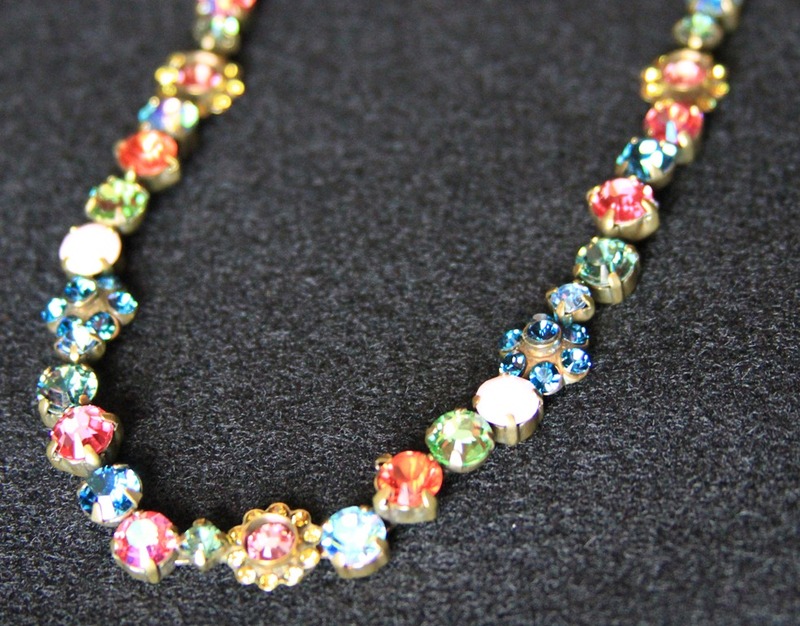 I cannot express enough what one of a kind jewelry this is. 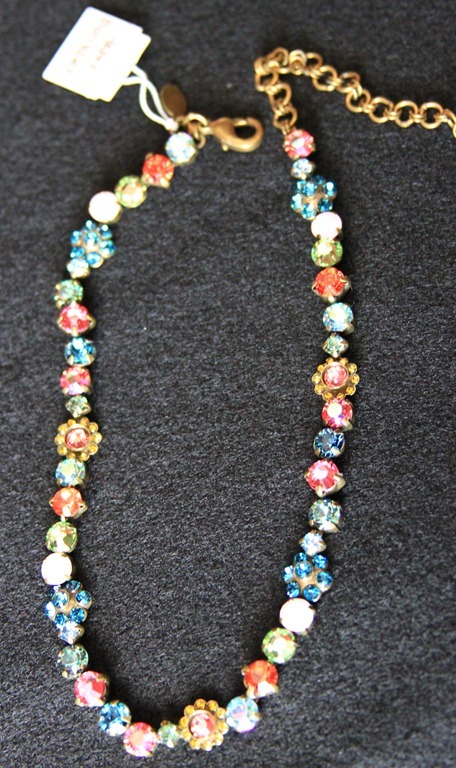 Men (if you’re still with me), your lady will love this! Ladies, I promise you won’t be disappointed! This entry was posted in Home Sweet Home, Jewelry. Bookmark the permalink.